With additional Green and Universal Design categories, there are 48 categories to consider for entry, for projects completed July 19, 2017 through October 16, 2018. Sub-contractors, vendors and suppliers, if you've had an impactful contribution to an award winning project, please consider entering as team members. Many of our winning projects recognize the team effort it takes to pull off that special project. Winners and feature articles will appear in local print media following our grand event. Stay tuned for publish dates. Companies - from one-person shops to the largest remodeling firms - report that winning this award is a major factor in enhancing their image within the industry and with prospective customers, and is a major morale booster for their employees. 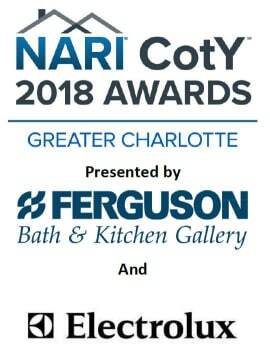 The numerous marketing opportunities available to CotY winners help set your business apart from other remodeling companies, and NARI helps by providing tools and resources to make the most of this distinguished honor. How can you participate or support this event? Participate, Sponsor or Attend. Table Sponsors - $800 - Includes a table of 8 (dinner for 8) to attend the awards. Attend - Even those member companies that are not related to contracting should consider attending this grand celebration. If you have any questions or need any additional information, please reach out to this year's CotY Committee Chair, Ms. Laura Barefoot, from Barefoot and Company. 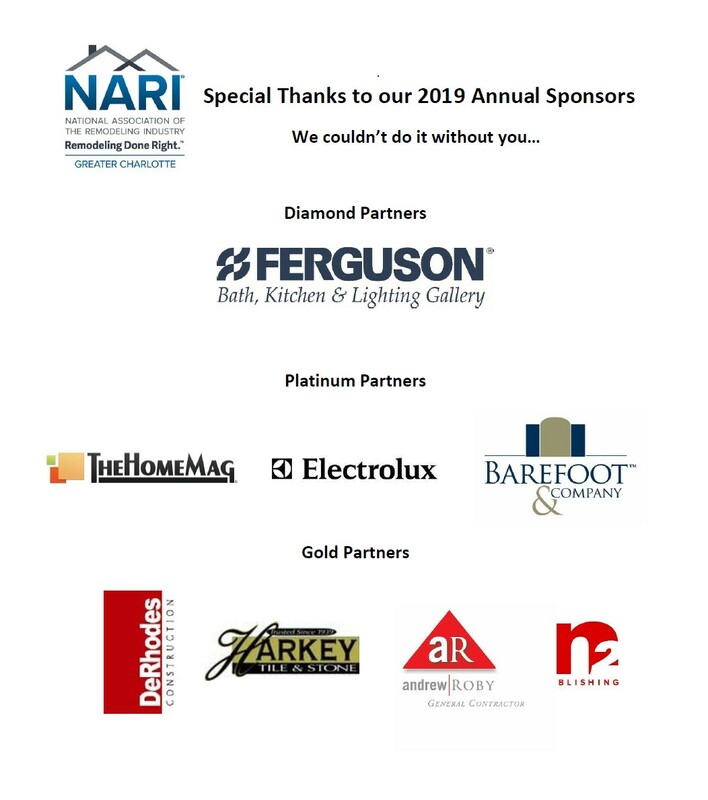 Thank you for your continued support of NARI of Greater Charlotte. This will be a great event!